Vietnam, considered as one of a few easy land to travel in, with a variety of options for tourists to travel by train, plane, and bus – all of the options are surprisingly cheap. Even taxi or private car hire, of course with the driver supplied, could be rather reasonable for travelers in tight budget who need to go somewhere in a hurry. 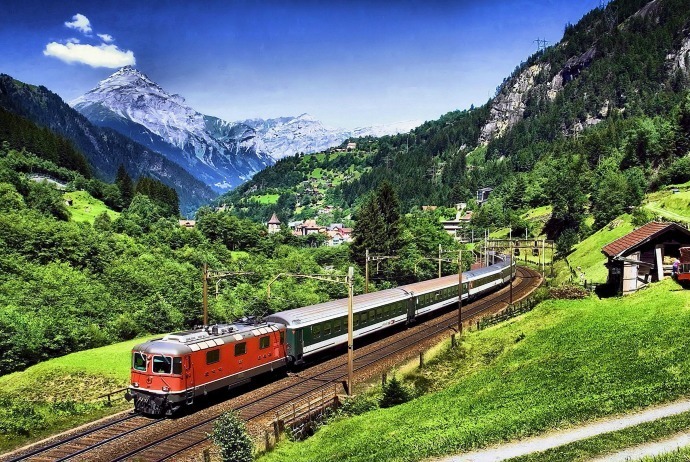 Generally, it is believed that the most interesting, relaxing and enjoyable way to travel around the small S-shaped country is simply by train, yet this might not always be possible in case you want to visit those central highlands. So, read on this detailed guide of getting around Vietnam here to get more good suggestions for traveling by buses, domestic airlines and trains across Vietnam. In some previous years, there has been a drastic increase in the quantity of no-frills budget airlines that serve Vietnam, giving tourists an alternative to those heavily potholed roads of Laos and Cambodia on both the way in and out of Vietnam. Traveling overland has many benefits, from an environmental perspective and from the personal experience of travelers because when traveling overland, people will meet more people and learn more about the countries they are passing through. 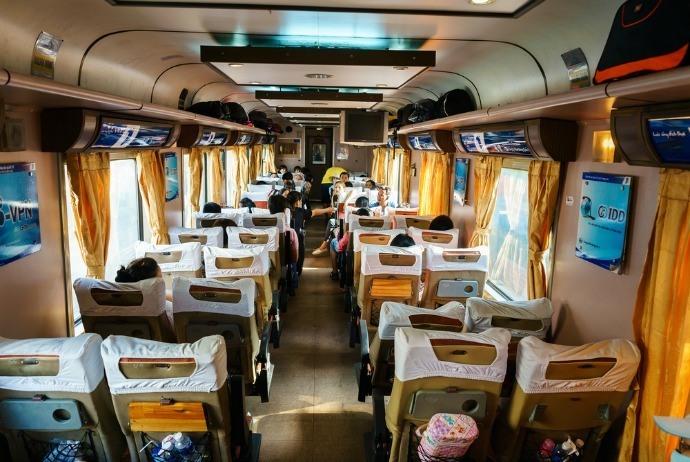 When it comes to getting around Vietnam by flying, the two-hour journey between Hanoi and Saigon, aka Ho Chi Minh (Hồ Chí Minh) City, for example, compares favorably with thirty or forty hours tourists may have to spend on the train. It is a good idea to flying the longer hops along the length of Vietnam. From Danang (Đà Nẵng) to Nha Trang (Nha Trang), from Hanoi (Hà Nội) to Hue (Huế), and from Nha Trang to Ho Chi Minh (Hồ Chí Minh) City or vice versa, Vietnam Airlines runs the majority of domestic routes in Vietnam, whilst other budget carrier like Jetstar and Vietjet offer healthy competition on the tourist routes. Domestic departure tax is often included in most fares. 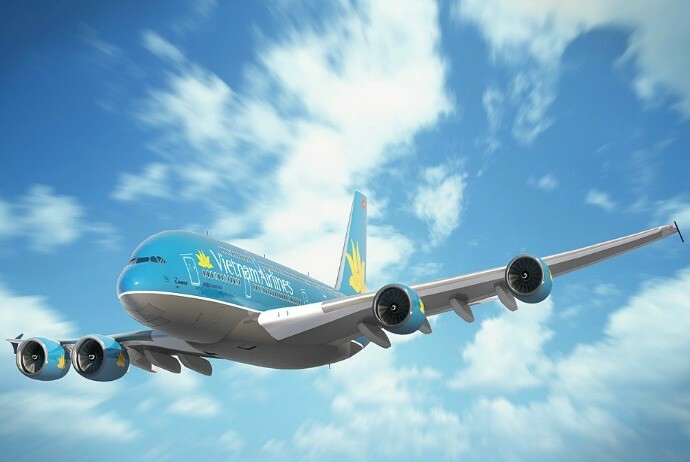 The official national carrier of Vietnam is Vietnam Airlines which operates a reasonably efficient, cheap and comprehensive network of domestic flights. This enterprise maintains booking offices in most cities and towns with an airport; phone numbers and addresses are listed within the Guide. Competition keeps prices low on the domestic flights. The mentioned-above Jetstar currently rival the national carrier of Vietnam – Vietnam Airlines for the local coverage. When it comes to getting around Vietnam, one of the most common forms of transport in Vietnam is bus. It is also popular among visitors to Vietnam, especially among those budget travelers. Traveling by bus will bring to you a more genuine, interesting experience of Vietnam. When it comes to getting around Vietnam, most tourists using buses never actually see a bus station. This is simply because the share of tourist trips / journeys are made on the privately operated services, often referred to as “open tour” buses, which often run not from stations but the offices of different companies. 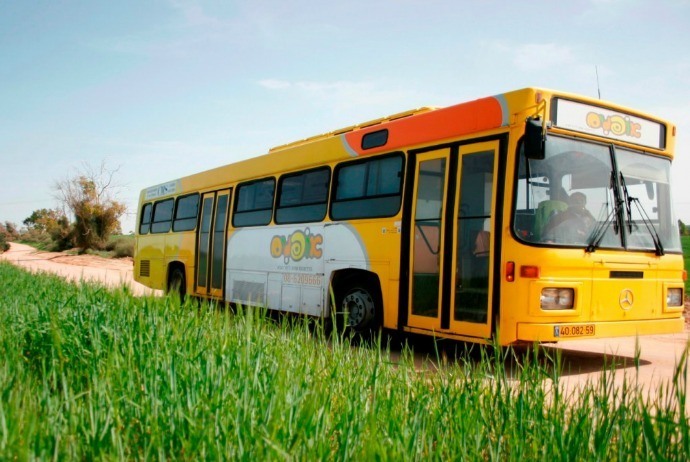 The “Open Tour” buses are highly recommended among those experienced travelers. 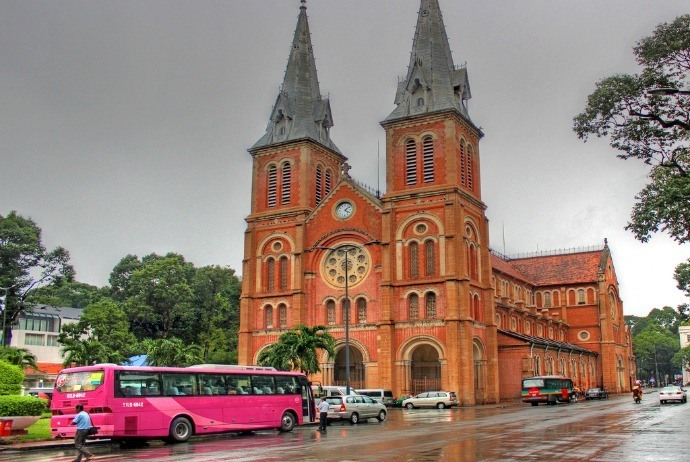 Away from those private affairs, national bus services usually link all main cities of Vietnam, and many minor towns too, despite tourists just tend to use them off the open-tour route. Open-tour buses feature with limited seating, fixable timetables and air-conditioning, giving the outstanding edges over national services. Additionally, because of the fierce competition, the prices of such buses are nearly as low as the national bus network. In general, open-tour buses are a comfortable way to get around Vietnam. The buses call at the occasional tourist attraction, like Lang Co (Lăng Cô) and Marble Mountains, which could save a considerable amount of money and time in compared with doing the similar thing independently. These buses are decent, yet you should not expect too much space for legs, or any on-board toilets. A few of the more expensive services have them yet the majority will be accompanied with a break for look-and-snack. Such break tends to be at overpriced restaurants; hence, it is a good idea to prepare yourself with some snacks before starting out your journey. Another drawback of the open-tour buses is that you will be encouraged to book into the affiliate or own hotels of the company, though there is nothing to stop you staying somewhere else. However, it is still necessary to admit that the services of open-tour buses are on time, and on longer trips. Overnight buses are common and filled with sleeper berths that sound comfortable and nice, yet these are Vietnamese roads and Vietnamese drivers, so you should not expect to get much sleep. Note that there are some operators who are more trustable than others. Hoang Long (Hoàng Long) and Mai Linh are the companies with good reputations, while a few of other operators have poor service standards. Ticket prices often vary widely depending on the company you choose. You could either book at the outset or choose an open-dated ticket for great flexibility, in which case you might need to book your travel one or two days in advance to warrant for a seat. As an alternative, you could purchase separate tickets when you go along that is recommended. 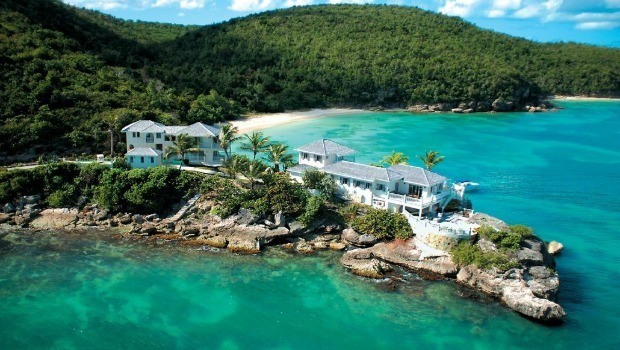 Each major town has an agent where you could purchase tickets and make reservations. In order to avoid buying a fake ticket, or paying over the odds, the idea is to buy right direct from the relevant agent instead of from restaurants, hotels or those unrelated tour enterprises. 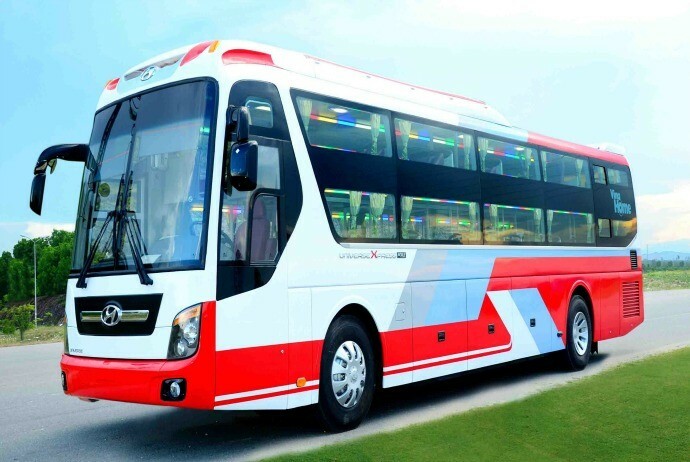 In regard to getting around Vietnam by bus, the government of Vietnam is steadily upgrading the state buses on the general national bus network, replacing the old vehicles with air-conditioned ones, especially on the popular routes. It is not popular to find yourself crammed in amongst the baggage, which can be anything from scores of rice sacks to live pigs in baskets. Progress could be uncomfortably slow because buses stop frequently for meal breaks or to pick up new passengers. Among those older vehicles, breakdowns are rather common and could sometimes result in a roadside wait of a few hours while the driver and fare collector along with mechanic roll up their sleeves and prepare. It is highly recommended to buy tickets at official bus stations, where the fares are indicated right above the ticket windows. The prices are often also marked on tickets themselves, despite there are still a few cases of passengers being charge over the odds, especially in more rural stops, particularly those from the Laos border. For those long journeys, purchase a ticket about one day in advance as a lot of routes seems heavily oversubscribed. Those privately owned minibuses tend to compete with those public ones on the majority of routes. Now and then, they share the local bus station, or congregate on roadside in a certain town center. You could even flag them down on the road. Sometimes, they squeeze in more people per square foot in compared with normal buses, and usually drive interminably around town that touts for passengers. The majority of main cities own their local bus networks with various standards and prices. Try to ascertain the precise price and have the right amount of money ready before departing because fare collectors will usually take advantage of your own captive position. These operators are well-known in Vietnam among tourists and have become the default mode of transport for backpackers passing through Vietnam. It could not be denied that they provide customers with a cheap service whose hop-on, hop-off system is very flexible to suit indecisive tourists who decide to stay another day in a town and skip another. The most comfortable, relaxing and enjoyable regarding getting around Vietnam is by train. The sleep beds are comfortable enough to get a good night sleep, and the scenery is beautiful for travelers to enjoy. The major train line runs North-South from the capital Hanoi to Saigon, for the most part running near or along the coast and stopping at main destinations like Ninh Binh, the ancient town of Hue (Huế), Danang (Đà Nẵng), Quy Nhon (Quy Nhơn), and Nha Trang. It takes about 30 to 35 hours to go from Hanoi (Hà Nội) to Ho Chi Minh (Hồ Chí Minh) City by train, and vice versa. The distance is more than 1,000 miles. In addition, there are some smaller train routes and lines: from Saigon to Phan Thiet (to get Mui Ne), from Hanoi to Halong (Hạ Long) Bay, from Hanoi (Hà Nội) to Hai Phong (Hải Phong), and from Hanoi pass Lao Cai (Lào Cai) (to get Sapa) up to Chinese border and on to Nanning, in the Guanxi province. Previously, there were more train lines in Vietnam, like the link from Saigon to Dalat (Đà Lạt), yet sadly many of them haven listed into disrepair. If you are considering traveling around Vietnam by train, then we highly recommend it because it is a way to steadily experience the rural area of Vietnam, take in the beautiful countryside scenes far from the noise and dust of the highways. Remember that not all the classes mentioned above are available on every train – the trains which are marked SE are faster and feature better quality seats and beds, whilst the trains of TN class might just have hard sleepers and may stop more often with slower speed of traveling. When purchasing a sleeper ticket for getting around Vietnam, you might be asked about the level you want to sleep on. There are often 3 levels and the top is cheapest as you have to climb up and the bottom bunk is the most expensive. However, the difference is normally rather negligible. If you want to book a sleeper ticket, then it is smart to book at least 1-2 days in advance. In case you want to book in or around the national holiday for getting around Vietnam, then book 1-2 weeks in advance in order to prevent disappointment.